Thesis: Biochar – A benefit to soil biological processes and nitrogen cycling? My PhD will examine the interaction between biochar and the soil nitrogen cycle. Biochar is a recalcitrant form of carbon formed from the pyrolysis of organic matter (charcoal, but not limited to wood sources). This study will initially focus on individual soil nitrogen processes, such as immobilisation, mineralisation, and denitrification. These processes of each will be studied in order to determine firstly, if, and secondly, how, they are influenced by biochar addition to soil. 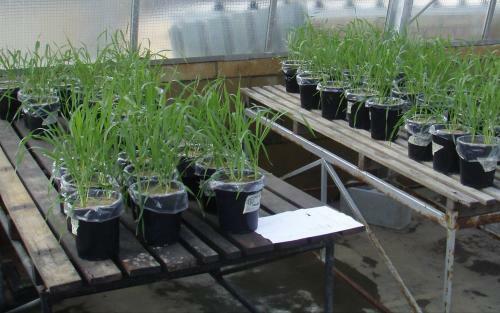 Once complete, my final experiment will combine the previously studied components in a field trial. Nitrogen is a key fertiliser addition and also a large input cost in farming enterprises. If biochar addition to soil can influence the nitrogen cycle in a manner that increases nitrogen use efficiency, the benefits are numerous. Financially, farmers would benefit through reduced input costs. Environmentally, reduced fertiliser inputs could lessen the risk of nitrous oxide emissions from fertiliser and hence greenhouse gas production. Also, the potential for nitrate to leach into waterways may be lessened. In addition to influencing the nitrogen cycle, biochar is a known carbon sink, and provides an option for carbon sequestration. If included in an emissions trading scheme, could also provide financial benefits for landholders.